Today, I'm over on the Just Nick Blog. sharing my all about me layout. I only use part of the Wheeles in Motion Background cut file for this page. After tracing the Wheeles in Motion Background cut file, I used the box tool from the left hand tool bar to draw a box around the one circle I wanted. Using the mouse to highlight both the box and cut file image, open the modify window at the top right hand side of your Cameo. After I resize the circle to about 9 1/2 inch. Next I used the Doodle Daisy Background cut file, add a few around the the page and using my Cameo on perforate edge to make small holes to use as a template for my handstitching. 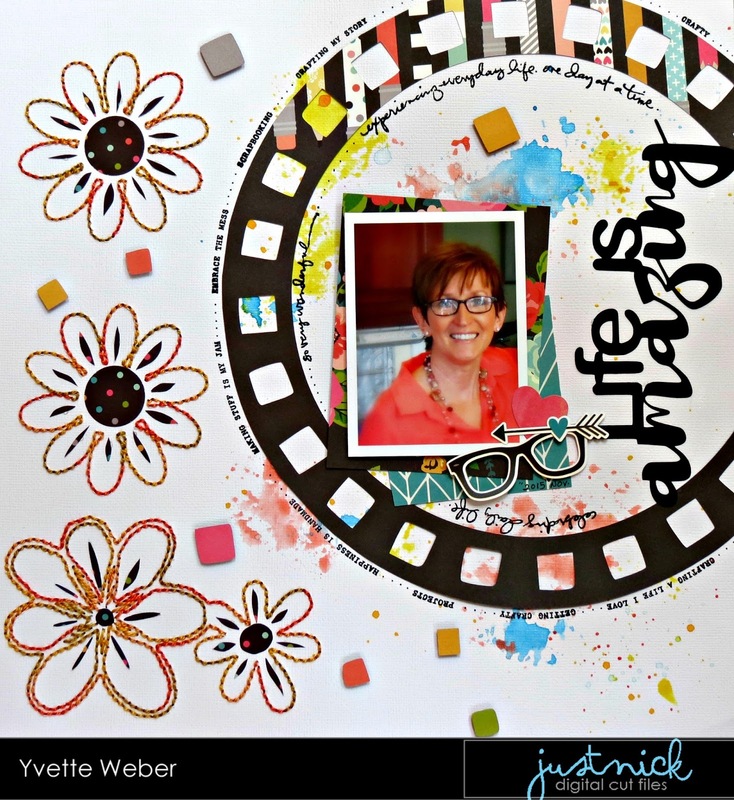 I finish off my layout with another cut file for my title Life is Amazing, added some stamping around the circle and a splash of color to back my photo. Thanks for stopping by! Stop by the Just Nick Store to checkout all the awesome digital cut files.